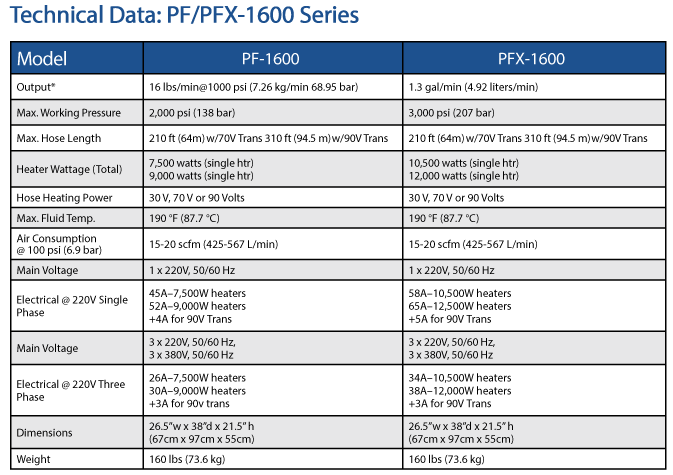 The PF/PFX-1600 Series utilizes the efficiencies of today’s pneumatic and heating technology in order to reduce the air and power consumption to create a new platform that is good for both entry-level and seasoned applicators. Recirculation valves are standard on the PF and PFX. Inlet Monitoring (IM) and Pressure Balance Control (PBC) are options.